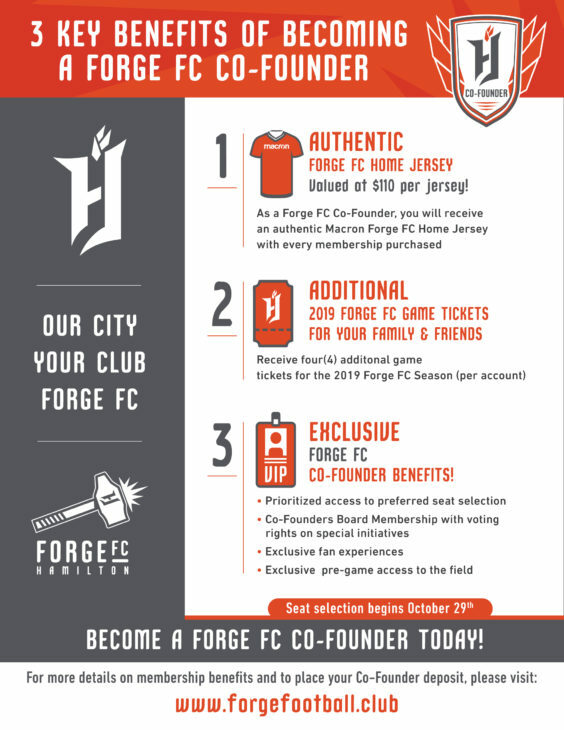 If you were considering becoming a Co-Founder season seat member in Forge FC’s inaugural season, we’ve got fantastic news for you. All Co-Founders receive an authentic jersey, with every ticket they purchase! 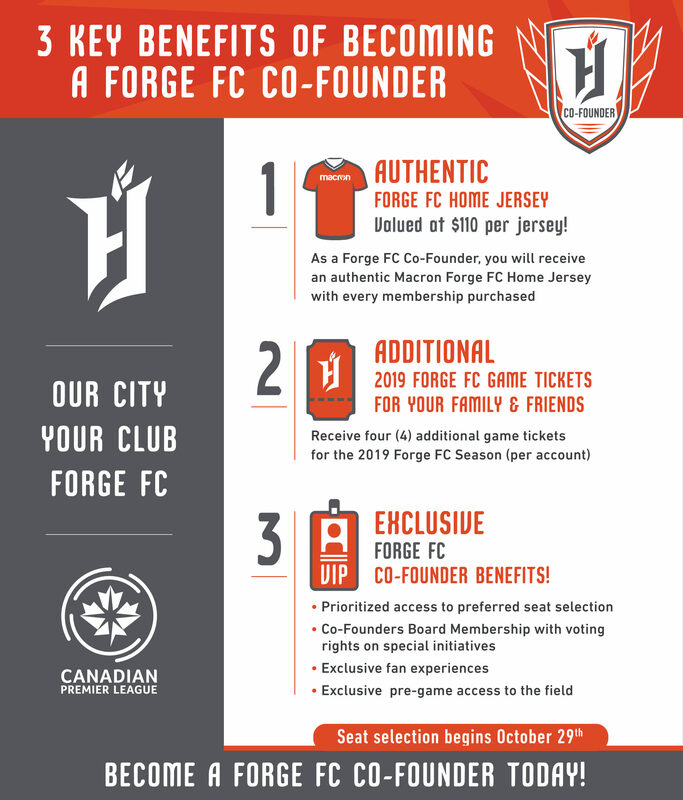 (For example, if you purchase four (4) Co-Founder memberships you receive four (4) jerseys, at a value of $110 per jersey). BECOME A CO-FOUNDER > Click here to place a deposit now. Already a Co-Founder? The official Co-Founder seat selection process begins on Monday, October 29. Your Forge FC ticket representative will be reaching out in advance with further details.